Bill Gates has dismissed Google's chances of becoming a successful competitor in the smartphone software market. In an interview with The New York Times , Microsoft supremo Gates rejected the idea that Google would be able to challenge Microsoft's share of the mobile phone smartphone software market. Google has been developing software and services for the mobile phone arena, and has signed deals with manufacturers and operators to introduce its services on handsets. Rumours have also persisted of an own-brand Google phone in the pipeline. 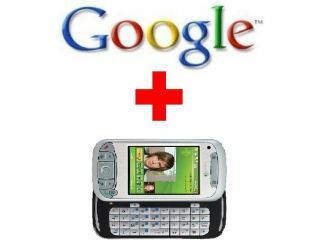 Commenting on the prospects for Google's mobile software strategy, Gates said: "How many products, of all the Google products that have been introduced, how many of them are profit-making products? "They've introduced about 30 different products; they have one profit-making product. So, you're now making a prediction without ever seeing the software that they're going to have the world's best phone and it's going to be free?" Gates identified software as increasingly the key area for mobile phones as well as desktop PCs. "The phone is becoming way more software intensive," he said. "And to be able to say that there's some challenge for us in the phone market when its becoming software intensive, I don't see that."